Little Curies are an important part to her leadership. 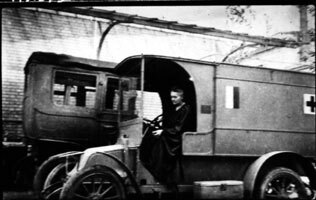 These radiologic cars, little curie's or ambulances are crucial to her gain of leadership. 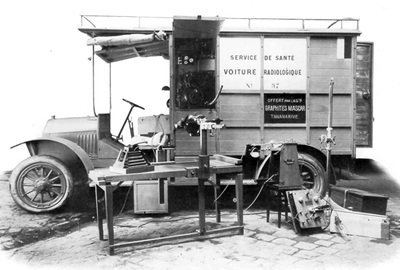 After borrowing Renualt trucks from rich women, she installed original radiology instruments, like the X-ray. She then taught about 150 women how to take an X-ray. By the end of the war she had made over 20 little curie's and examined over 1,000,000 wounded soldiers. During the war she traveled all across Northern Europe, stoping to help wherever assistance was needed. She even spent the time to learn how to drive as well as change a tire and fix the truck. The process would happen like this; a field hospital about to receive lots of wounded soldiers would telephone the Red Cross Director of Radiology (Marie or a volunteer). Then Marie and usually her daughter Irene would drive to the hospital and set up their heavy equipment. They would use the oil from the engine to run the X-ray. Next, they would individually scan and print out the x-ray, a surgeon would then do surgery if it was fatal. 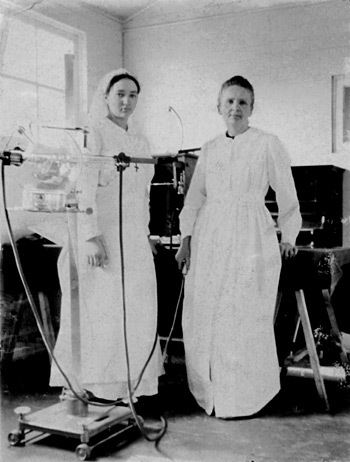 The Little Curies support that Marie Curie showed leadership because she drove to the front line, and felt an obligation to help the people of France. She learned how to drive, taught women to take x-rays, lifted heavy equipment and installed it for future generations, and helped so many soldiers. Perhaps even more obvious than leadership, is the legacy left behind by the little curies. The picture to the right was taken at Hoogstade hospital in northern Belgium. This hospital still has the original equipment left here by Marie and Irene. 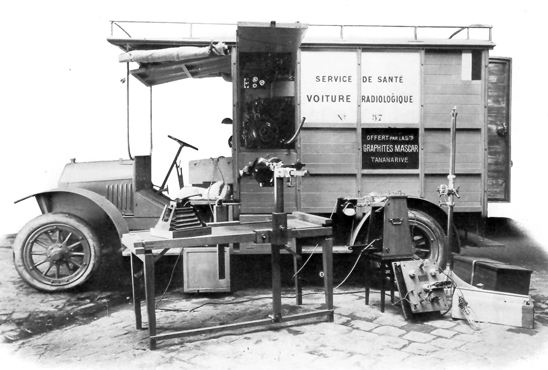 Not only did Marie leave the machinery in the hospitals, but also sent radon gas in lead boxes to help run the x-ray. She often taught hospital workers how t use the x-ray before she went back to the institute to get another x-ray. 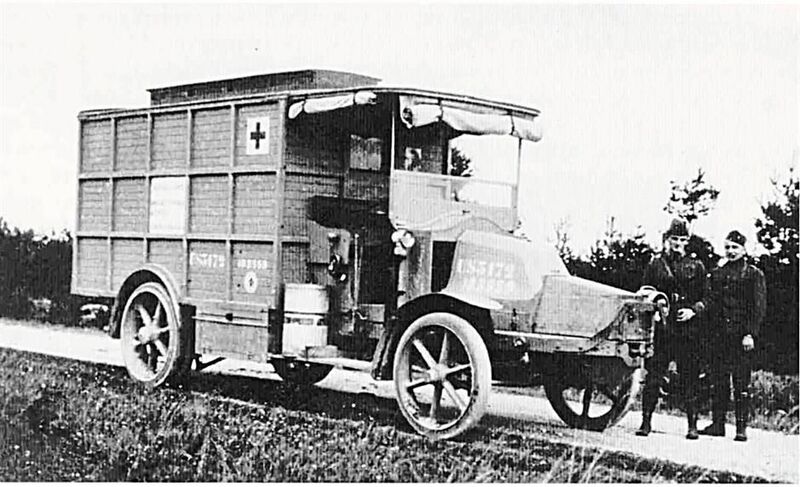 Another important factor in this is that Marie coined the idea of the ambulance, now one of the most important vehicles seen today.